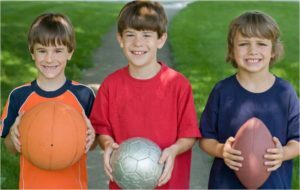 When it comes to children’s sports, both the individual and the team variety, there are two distinct categories of behavior that are important for family members to manage: the performance of the young person, and the behavior of the parents. Fortunately, whether you want to become a more composed and diplomatic parent while your child is on the court or field, or you want your child to be more relaxed and less anxious on the court or field, hypnosis can help. It simply involves quieting your mind and body and going to the place in your brain where your bad habits and self-defeating thoughts live, and changing them into good ones. Here are three important tips for both parents and children. If you know you are about to go into a situation that you find stressful, either because you are having performance anxiety or you are anxious for your child, the most important thing you need to remember is to breathe. Your brain uses about 25% of your body’s oxygen, and it doesn’t get enough if you’re breathing is short and shallow. Deep breathing helps not only relieve tension in your body, but it helps your brain function better, and your brain is the command center for everything you do. Everyone can benefit from the deep relaxation that breathing promotes. Stop the negative chatter in your head. If your negative self-talk is about your attitude, your performance, the past, a projection about the future . . . no matter what the topic is, it must be addressed. If your self-talk is unrelated to what you’re doing in the moment, then it needs to stop completely. But if it’s related, then it needs to be changed to more positive, expansive, empowering talk of what’s possible and how the ideal moment would look and feel. Change your concentration from scattered to optimal. The jury has been in for a while, and the reality is that the human brain isn’t set up to multi-task. If you’re stepping onto a tennis court and thinking about school, or if you’re watching your daughter’s swim meet and you’re thinking about work, then you’re telling your brain to attend to two very important things at the same time, and your brain would rather keep it to one. No matter what sport your child participates in, from cheering to tennis to football to running and jumping, the same core principles are necessary for peak performance. And they’re similar to what’s necessary for diplomatic parenting. Being a parent can be tough, and we often forget that our children’s minds are wide open to both the good, the bad or angry things we say to them. 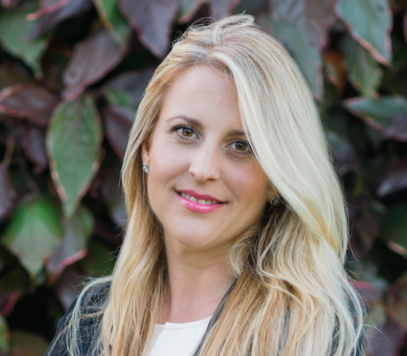 Laura’s Diplomatic Parent self-hypnosis session will help restore harmony in your relationships and be thoughtful of your communication with your child in life and in sports.